Thank you to the author of the Foscam FI8908W page as this is mostly a copy. Cheap IR wireless IP/Network Pan/tilt Camera. There is no zoom with this camera. Power and network light at the back of the camera. Working as a plug and play IP camera with pan/tilt commands. Should work as a 'Generic Motion IP camera' under motion wrapper and used as a sensor as well as recording movement etc. 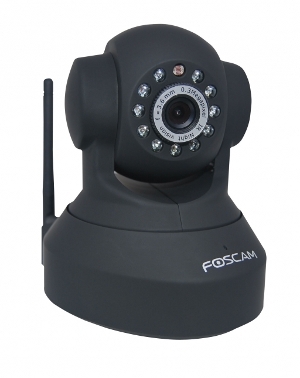 - Check the Foscam FI8908W page for more. Wireless range 963357310976 to 963357376511 (DHCP). Wired range ??????? - Will try and find this out??????? There have been reported drop outs with the Foscam F8908W but I have not noticed this with the Foscam F8918W but I do use a static IP address. This page was last modified on 7 October 2013, at 16:08.